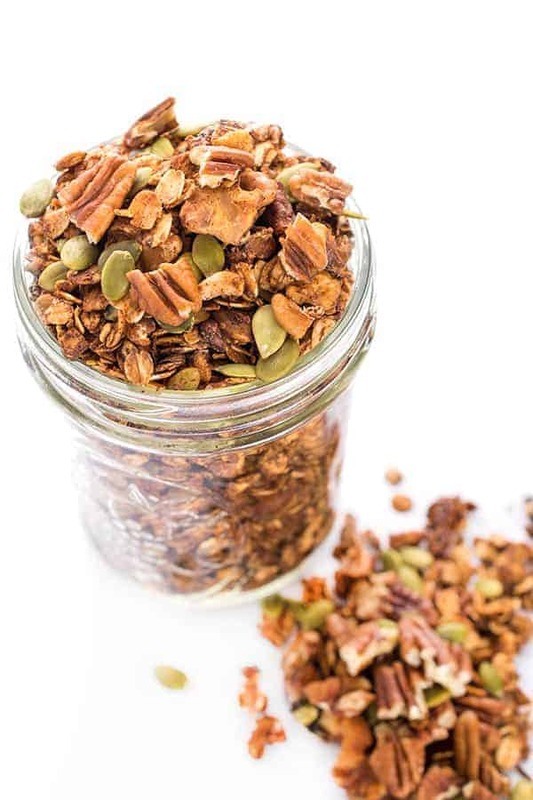 This protein-packed granola recipe is scented with cinnamon and filled with oats, nuts and seeds. Granola is always a huge hit in my house. My boys love stirring it into yogurt, my husband loves snacking on it at work and I love sprinkling it on top of my smoothies. 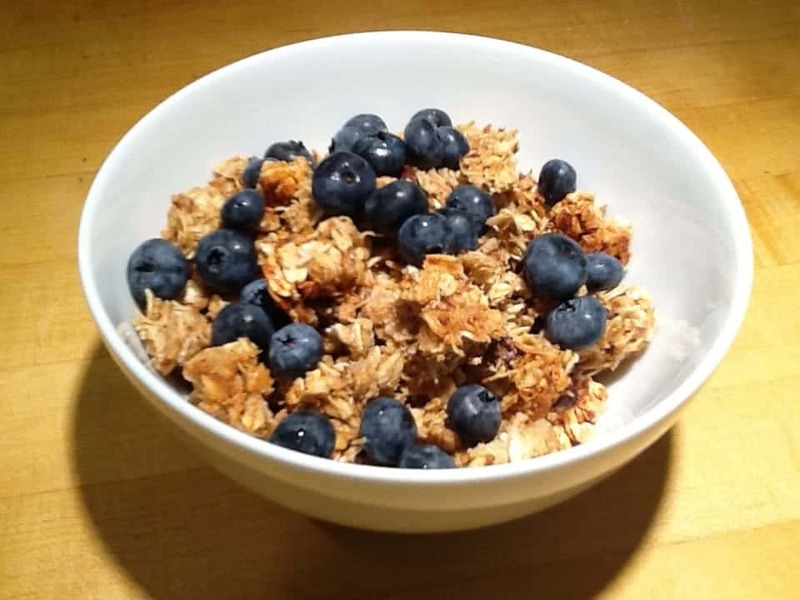 Since my family loves it so much, I set out on a missing to create a high-protein version filled with whole grain oats, hearty nuts, crunchy seeds and protein powder. For sweetness I add a touch of honey but maple syrup would work great too. 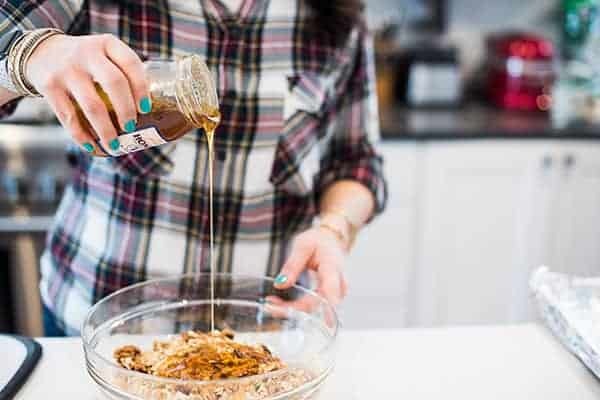 I also love using molasses to sweeten granola. When it comes to the mix-ins, use whatever nuts and seeds you have on hand. We buy walnuts in bulk because they are our favorite but pecans, cashews or hazelnuts are all great options. 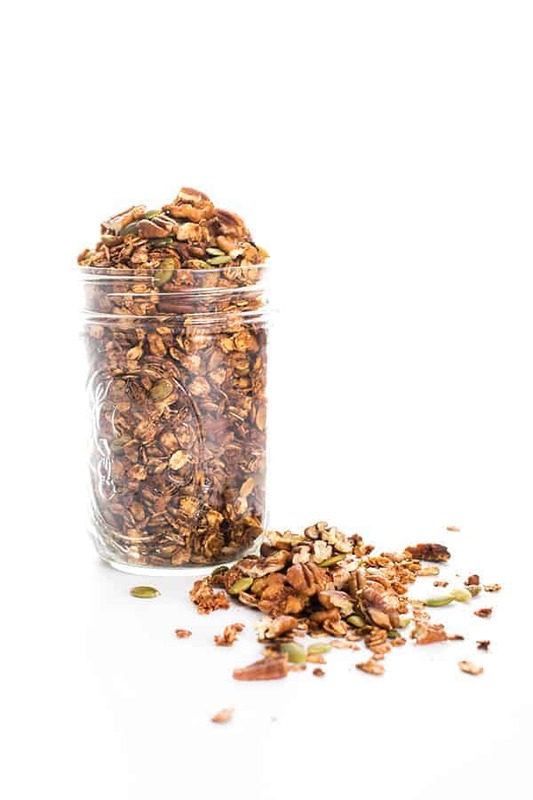 Pumpkin seeds and flax seed meal add even more healthy fats and omega 3’s and they give the granola the perfect crunchy texture. Sprinkle on cinnamon and a pick of salt and you’re good to go. 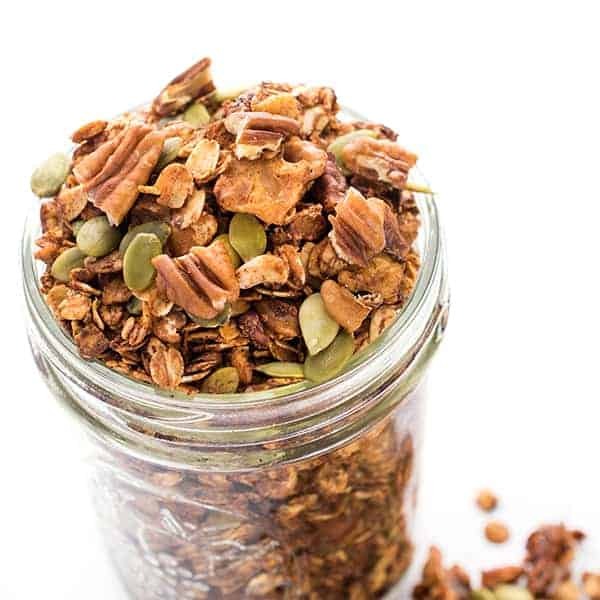 This protein-packed cinnamon-scented granola recipe is filled with oats, nuts and seeds. Drizzle in honey and olive oil then stir well to evenly coat mixture. Spread mixture in an even layer on a baking sheet and bake until golden, about 30 minutes. Let cool completely before serving. 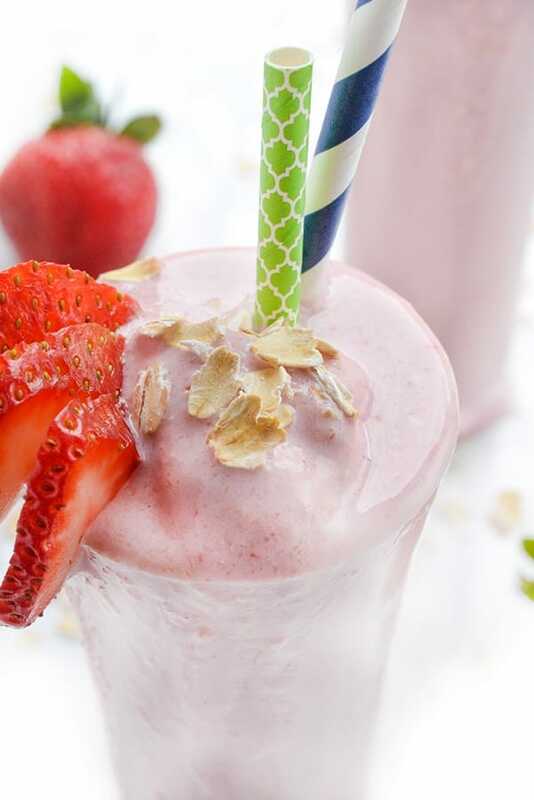 For more healthy snack options, check out my Pinterest! Awesome recipe. However, 30 minutes over-cooked my batch. I’d check it at 15 minutes then watch closely from there. Sorry but I didn’t like this granola at all. Is this granola ok to freeze? Can’t wait to try this. Sounds so easy & delicious. What do you consider to be a serving size? Thank you. Sorry about that – it’s 1/4 cup! Just revised the recipe. Enjoy!! Looks so delicious! I was just looking for a granola recipe and saw this on your Instagram! I’m going to try this for next week. Do you know what the serving size is, or am I just missing it? Thanks for all the awesome recipes! Sorry about that – just added in the serving size! It’s 1/4 cup!! Enjoy! Thank you so much! I love your recipes. ???? What kind of protein powder do you use for this recipe?